Background: The cell permeable staurosporine (staurosporin), isolated from Streptomyces staurosporeus, is one of the most potent and widely used inhibitors of protein kinases initially proposed to inhibit protein kinase C (IC50 = 5 nM). Later it was shown that staurosporine has a much broader specificity for various protein kinases including PKA (IC50 = 15 nM), PKG (18 nM), CaMKII (20 nM), S6K (5 nM), MLCK (21 nM), SRC (6 nM), FGR (2 nM), LYN (20 nM) and SYK (16 nM). In contrast it has a relatively low potency for ERK1 (1.5 µM), CSK (2 µM), IGF-IR (6.2 µM), CK2 (19.5 µM) and CK1 (>100µM). 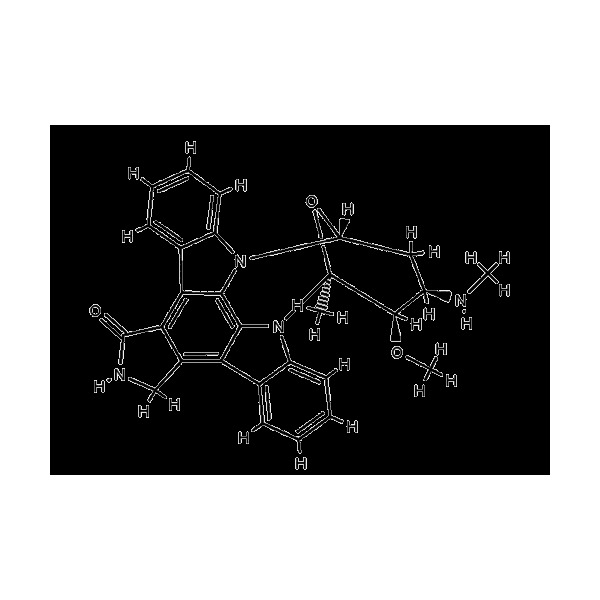 Also available predissolved at 10 mM in our kinase inhibitor Set (AGC group). 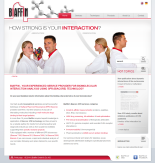 Use our - SPR Binding Assay of BIAFFIN for comprehensive kinetic characterization of your small molecule kinase inhibitors. Figure: Real-time kinetic analysis of kinase inhibitor Staurosporine binding to PKA Cα using surface plasmon resonance. Please contact our application specialiststo obtain more information and an individual quote tailored to your specific needs. Yamaki K, Ohuchi K (1999) "Participation of protein kinases in staurosporine-induced interleukin-6 production by rat peritoneal macrophages" Br J Pharmacol. 127(6):1309-16. Boonpawa R, Spenkelink A, Punt A, Rietjens IMCM. (2017) "Physiologically based kinetic modeling of hesperidin metabolism and its use to predict in vivo effective doses in humans." Mol Nutr Food Res. 61(8). Piret JP et al. (2017) "Pan-European inter-laboratory studies on a panel of in vitro cytotoxicity and pro-inflammation assays for nanoparticles." Arch Toxicol. 91(6):2315-2330.